Bought the black bullets for the first time. Weight is consistent with the red ones, 125.5 - 126 gr. They load and shoot exactly the same as well. While absolutely delighted with the performance I personally prefer the red from a purely visual perspective. I will choose them first but will not hesitate to order the black ones if that is what is in stock. Great price too. Tnx. Haven't had a chance to shoot them yet but I am positive they will perform as well as the 45's I bought. I have loaded 158 grain .38 caliber, 215 grain .41 caliber, and now 124 grain 9 m/m caliber. These 124 grain polymer bullets have functioned flawlessly in my Glock Gen 5 Model 19 and SigSauer P320 Carry pistols. Sample size has been 1000 bullets +/-. I limit velocity to approximately 1150 feet per second. Alliant Green Dot smokeless powder shines for me. No "leading" is a big plus. No problems. Shoot fine as do all the BadMan's. I haven't used these yet,but based on past experience if I do they'll perform exceptionally well!But if W. Barr becomes AG it's game over! 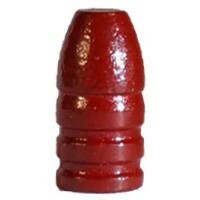 My order of red nosed 124 gr 9mm arrived just a few days after I ordered them. This is my second batch and results equaled what I discovered before. While I have used plated bullets for years, I really prefer these polymer coated rounds. They load and shoot as well or better while costing less and using less powder for equal performance. Win win for sure. This is my second 1000 round order and they load and shoot fantastic in my m&p shield and 92fs. Fly very nice, price is quite reasonable, packaging is tough and shipping is speedy. 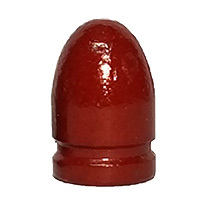 I have been using your polymer coated bullets in sizes from 180 grain 10 mm down to 124 grain 9mm. I have been buying them ever since you started selling, and I have been very happy with them. Recently, I got a chance to buy some red coated bullets from your competitor EG******** for what sounded like a bargain price. $0.07 each for 124 grain 9mm. Big mistake! Their coating is very thin and incomplete -- lots of uncoated lead spots showing. Running them through the loading dies results in more scraped off coating. All coated bullets are not equal, and yours stand above all others. Coating is well done and the weight is consistent, I just don't like the color Red! We will soon be offering BLACK as a color option.